The Silicatch bib is super soft and available playful colours. 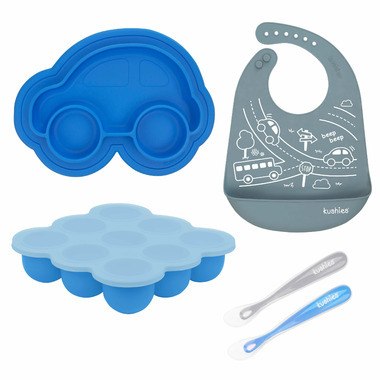 The soft silicone is lightweight so it won't bother your toddler and reusable after each meal. An adjustable neckline offers parents flexibility as your child grows. The Silitray allows parents to freeze breastmilk or baby food without fuss. Just pop the pod you want and allow food to come out quickly and easily. The lid clips on for a secure seal and can be labeled using a washable marker. Once your child is weaned, keep it and use as a baking mould, for arts and crafts and much more. 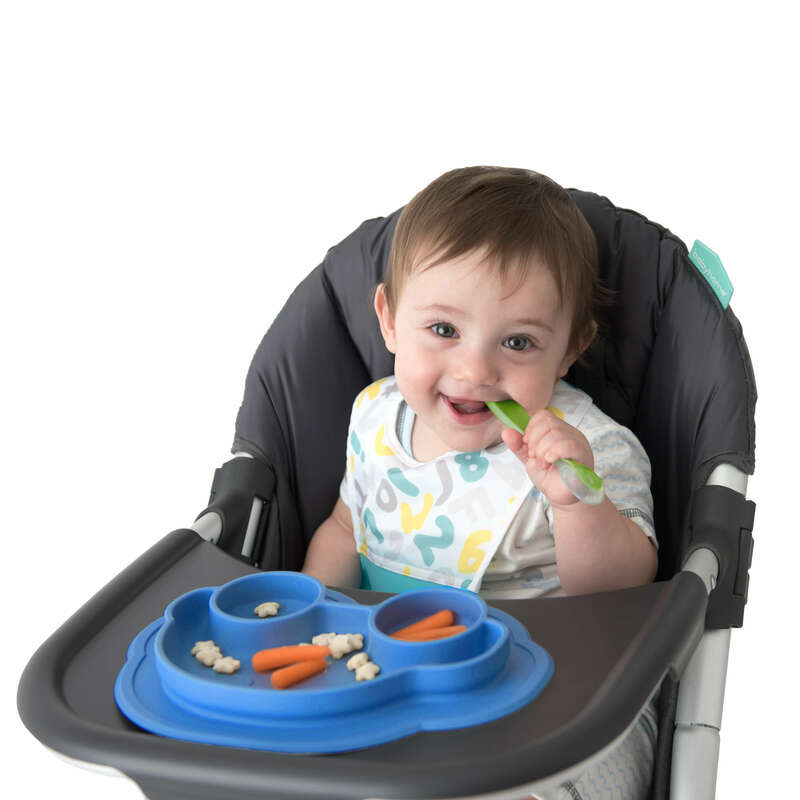 The Siliplate features compartments for food and suctions to most tables and high chairs making feeding time easy and practical. Made of food-grade silicone, this mess free, all in one plate and placemat is light weight and easy to clean. Available in oh so cute bear, car or butterfly shapes guaranteed to please your toddler too. Freezer, Dishwasher, microwave and oven safe, this plate has you covered. Once your child is weaned, keep it and use as a baking mould, paint palette and much more! Last but not least, the 2 Silifeed spoons included are perfectly sized for feeding. Made of a food-grade silicone shell, this spoon holds the right amount of food for your child and features a long handle which is easy for parents to use. This set is an ideal gift for babies that are 6 months and older.